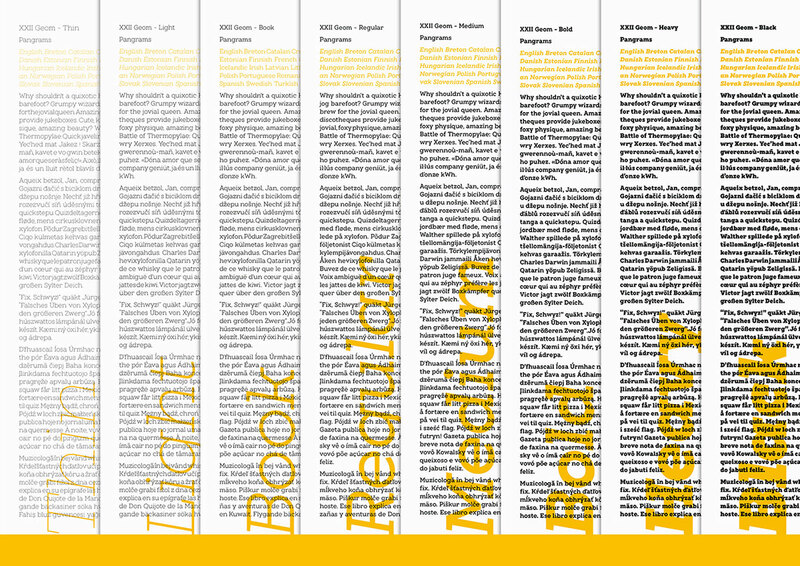 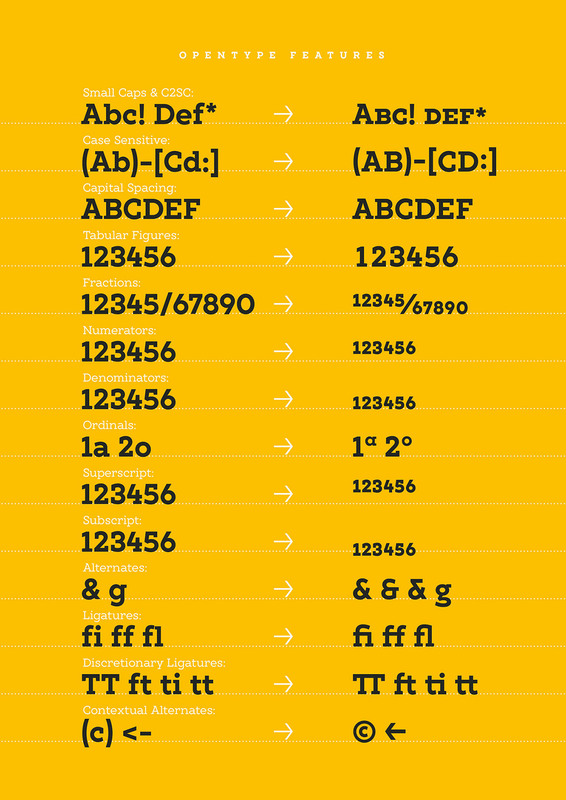 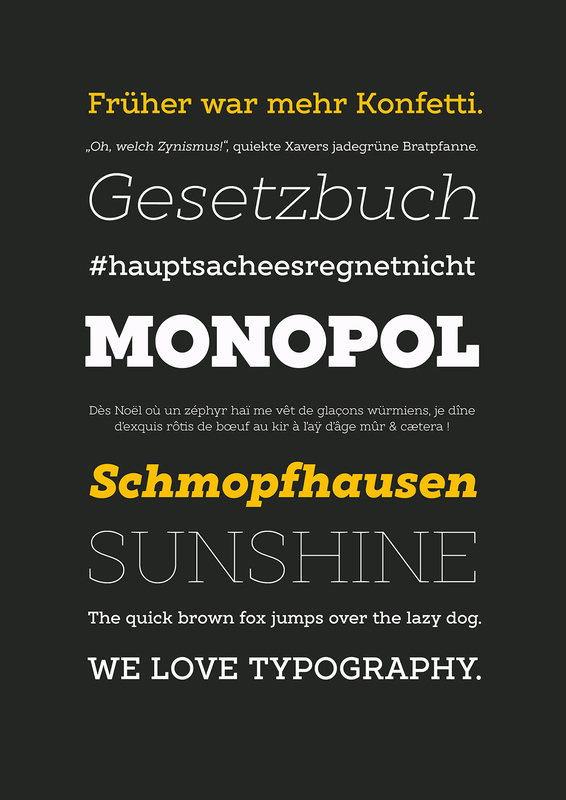 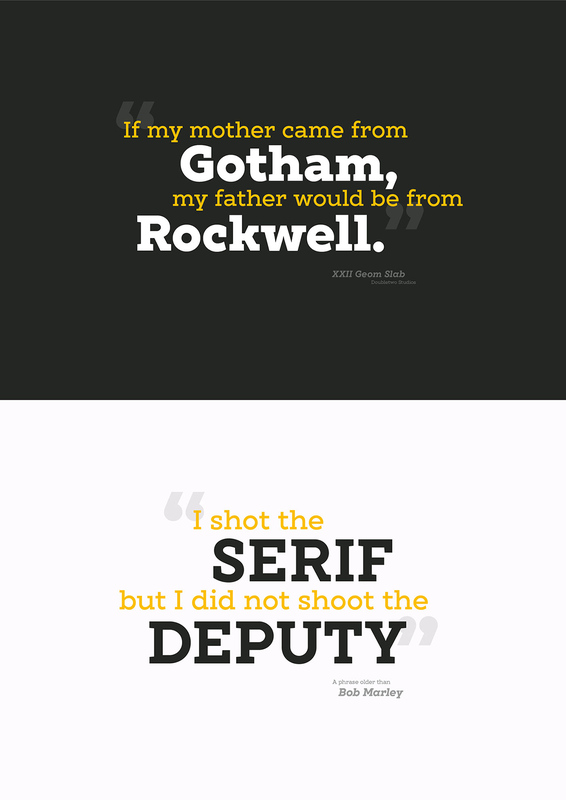 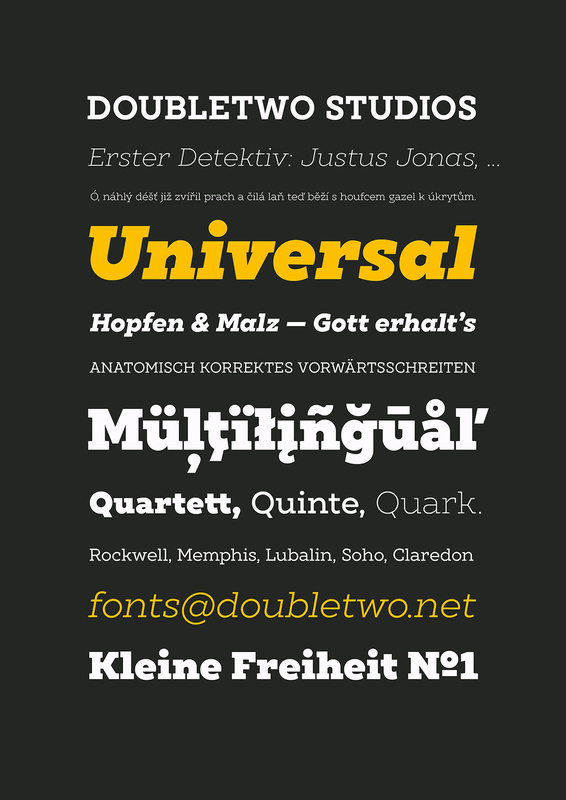 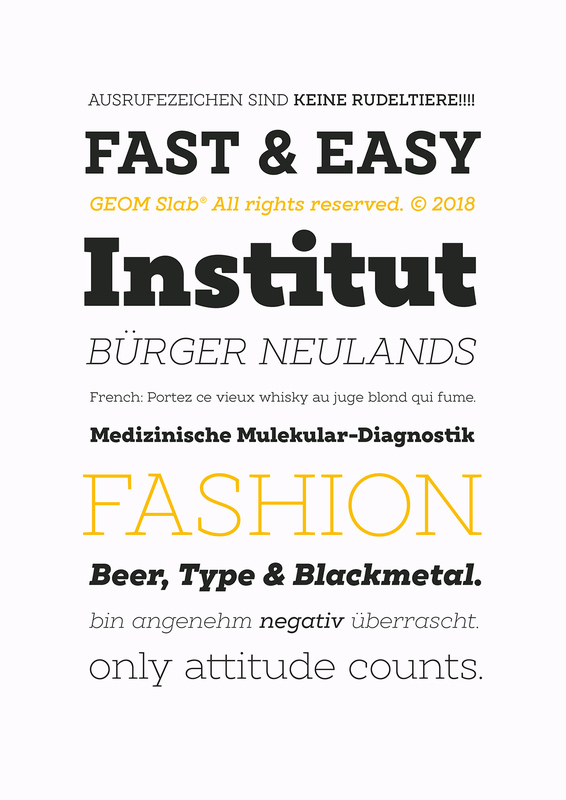 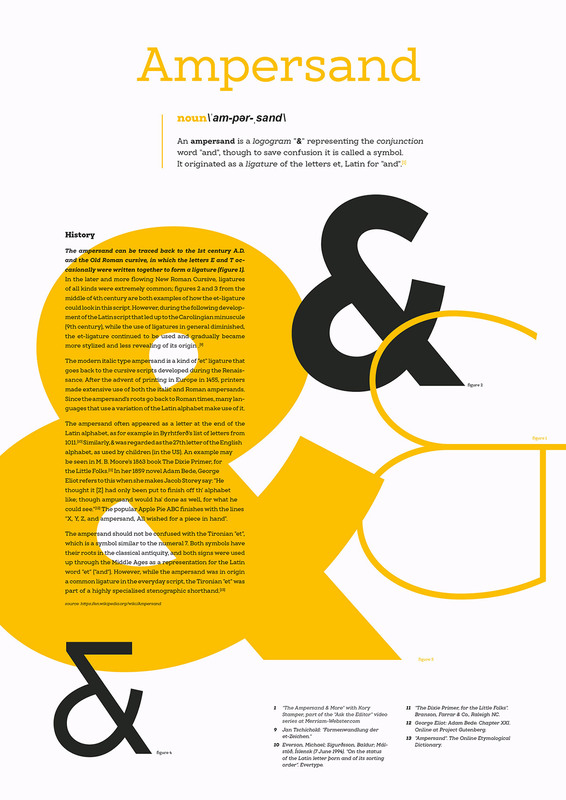 XXII GeomSlab is the additional slab-serif styles to the geometric sans-serif XXII Geom. 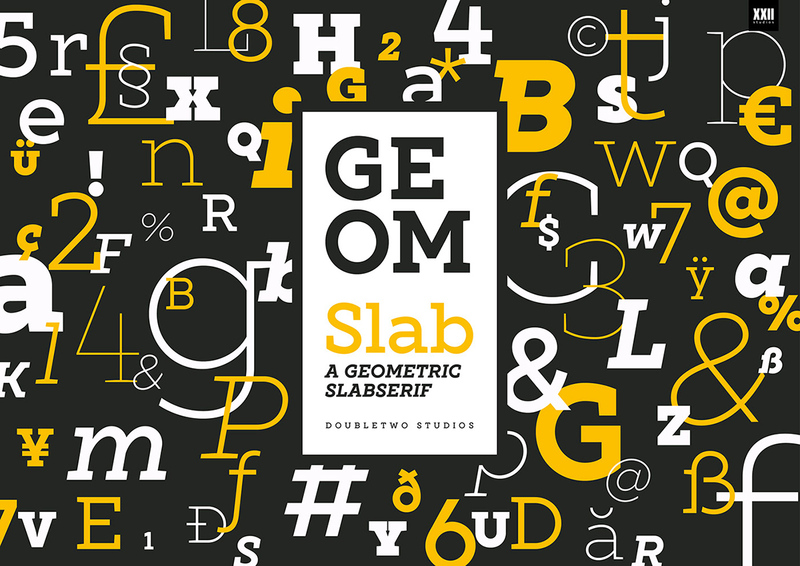 XXII Geom and XXII Geom Slab are modern geometric type systems designed with focus on functionality & legibility and with an eye on the old masters. 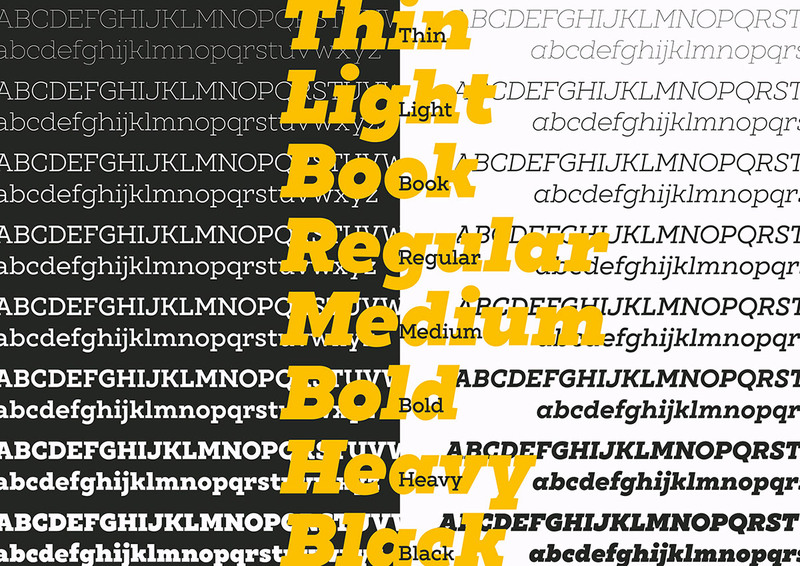 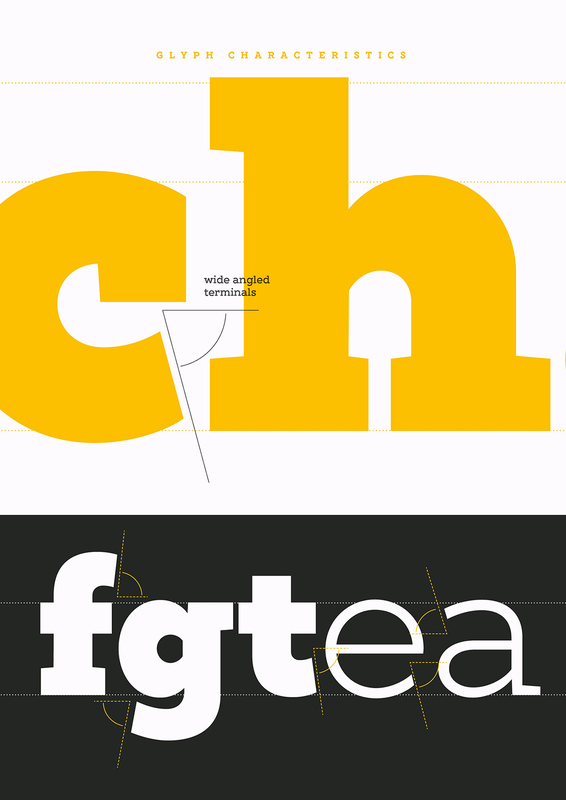 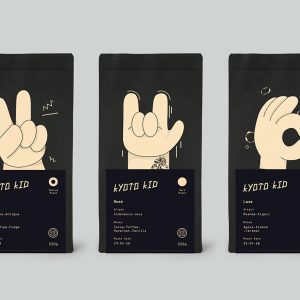 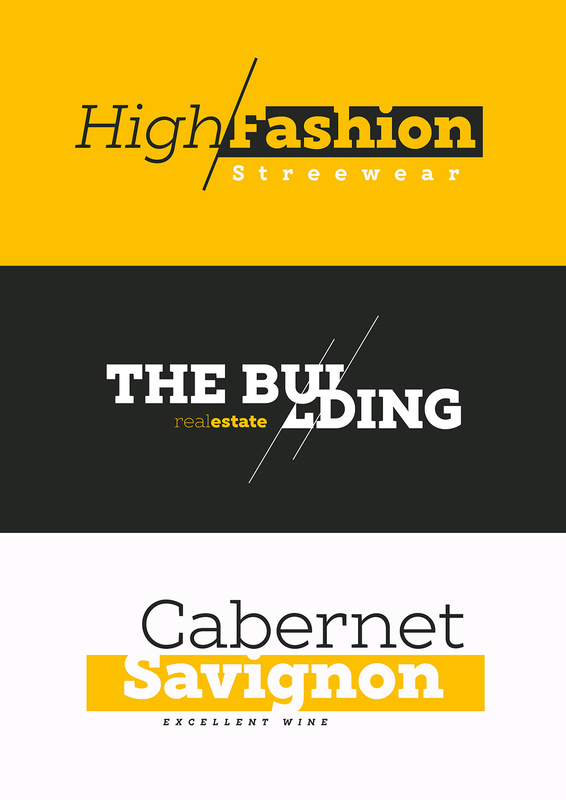 Their well balanced low contrast letter shapes come with a tall x-height. 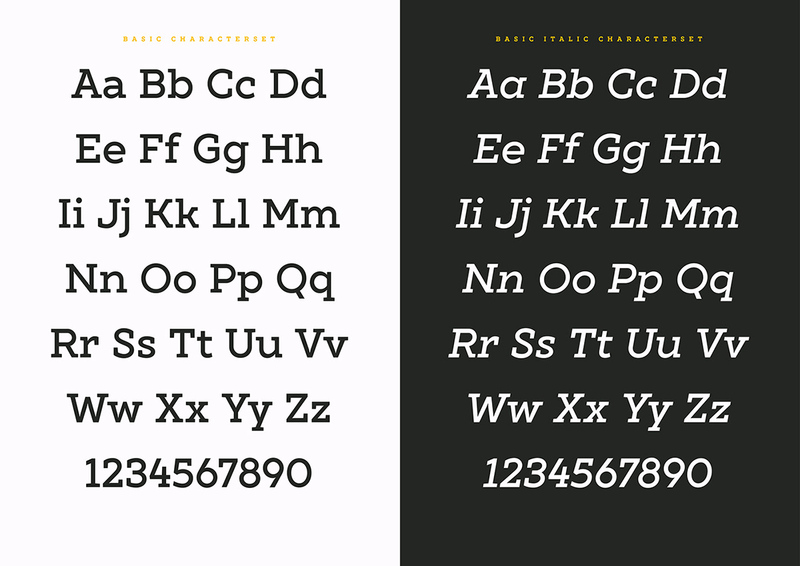 With its range of Opentype features it is designed to fulfill the needs your content deserves (Smallcaps, Case Sensitives, Ligatures…) as well as serving your individual taste (Stylistic alternates & Sets).